This week’s list of items needed in Calais by our amazing volunteers, updated Monday 11th January 2016. If you wish to donate goods, please email Annie on calaisdonations@gmail.com at least one week before you plan to set off. This will help Annie and our other warehouse volunteers to organise the warehouse and plan for the distribution of goods. We URGENTLY need large tents, sleeping bags and thick blankets. The situation with the camps in Calais and Dunkirk is evolving hour to hour – we will keep you posted on what we need. Email Annie to find out more about donation dates. Thank you for your time and support. The items at the top of the list are needed urgently. Please bring ring pull tops and make sure everything is IN date! Boots/ shoes up to size 39. No heels! Try to concentrate on one or two items as a large amount of one item is much quicker and easier to distribute than a mixed load of many items. It is very important that goods are clean, pre-sorted and clearly labelled e.g. a box of walking boots size 44, a bag of men’s jeans size 32, or pre-packaged food parcels. The wonderful people at Leisure Fayre have made it super easy to get these urgently needed items directly to Calais. 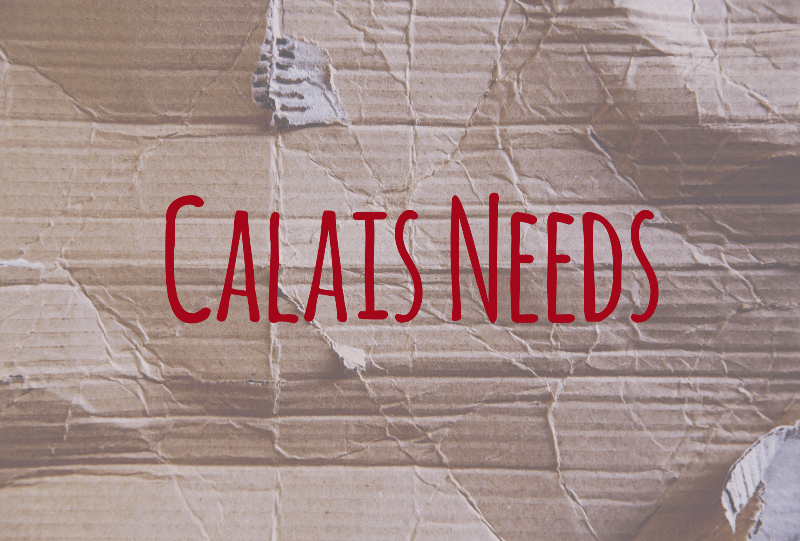 Calais urgently needs sleeping bags and blankets. Go to LesiureFayre, click on the Help Refugees logo to get to our specially selected list of most needed items and make your selection. To get 20% discount and free delivery to Calais, use the login and password provided on the checkout page. Many thanks to Leisure Fayre for being so kind!